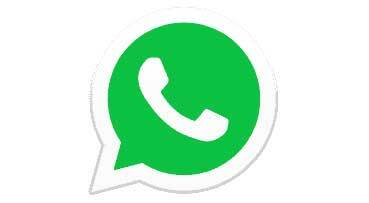 The usage of the social media platform WhatsApp has been found to contribute to the reduced institutional maternal mortality from 145 maternal deaths per 100,000 live births in 2015 to 109 per 100,000 live births in 2016. Dr James Duah, Deputy Director of Christian Health Association of Ghana (CHAG), in an interview with the Ghana News Agency, explained that the reduction occurred within the CHAG network with support from the Ministry of Health (MOH) and the Ghana Health Service (GHS). He said as part of the Millennium Accelerated Framework (MAF) project, a WhatsApp group was created for four zones in the country to facilitate the transfer of knowledge, skill and support to and from individuals, especially nurses and doctors on the platform. The MAF is an initiative put together by development partners in collaboration with the MOH, GHS and other health sector players in 2015. It also seeks to provide funds and technical support to improve the coverage of skilled attendance during pregnancy, childbirth and the postnatal period. Dr. Duah said the members on the platform include doctors, midwives, public health nurses, emergencies nurses, hospital managers, mentors, implementation committee members and facilitators, who shared vital information in real time.